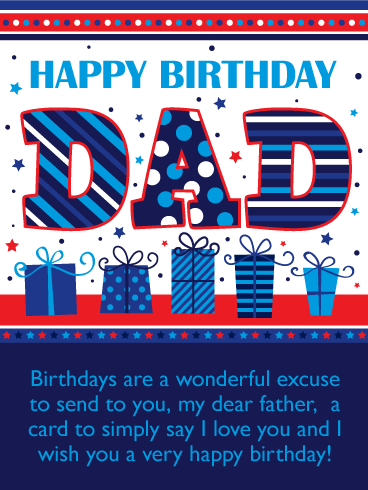 It's time to celebrate your father's big day, and there is no better way than with this exciting birthday card! 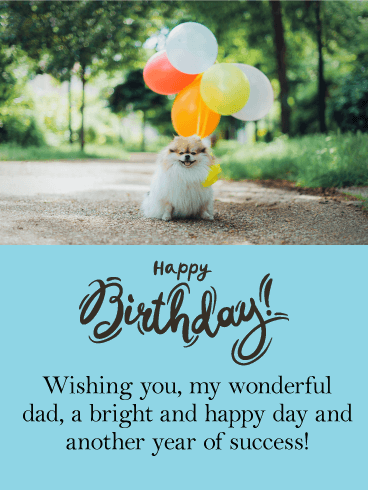 Your father deserves a greeting card that represents just how special this day is, and this birthday card does just that! 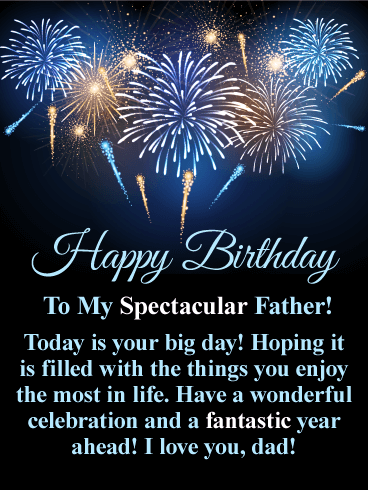 It features fabulous fireworks bursting in the sky and displays a meaningful message that was written just for your father on his birthday. 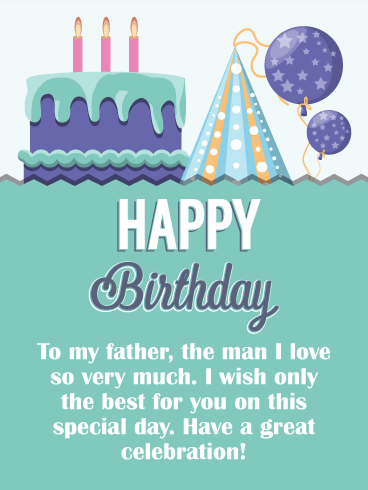 Send this great birthday card today to wish your dad a wonderful birthday celebration! 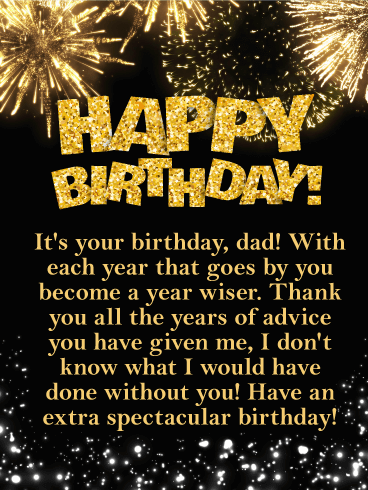 Happy Birthday - To My Spectacular Father! Today is your big day! Hoping it is filled with the things you enjoy the most in life. Have a wonderful celebration and a fantastic year ahead! 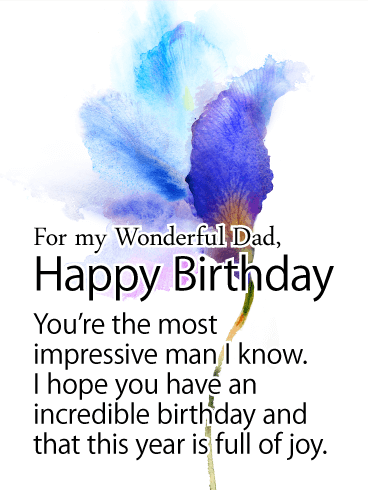 I love you, dad! 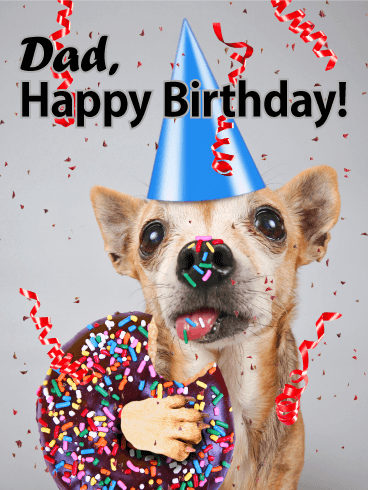 A father's birthday is a time to gather with friends and family to celebrate the best day of the year! 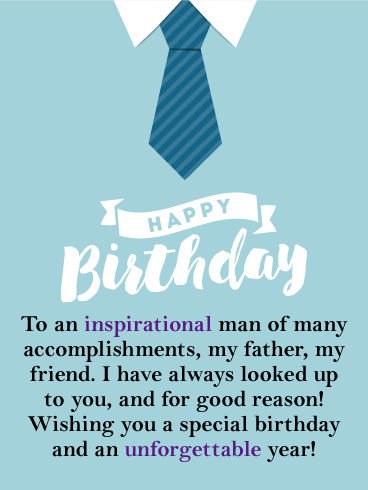 So pour the campaign and make a toast to your father with this exceptional happy birthday card! 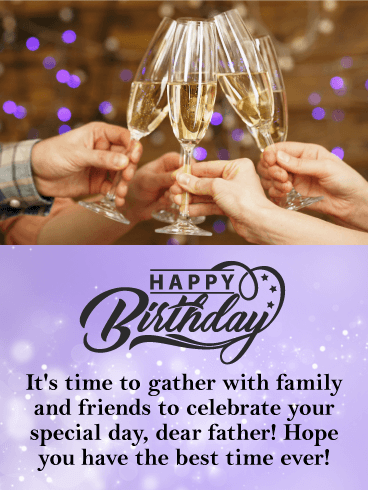 The sparkling background and toasting glasses on this birthday card are a great reminder that it's time to start the celebration! 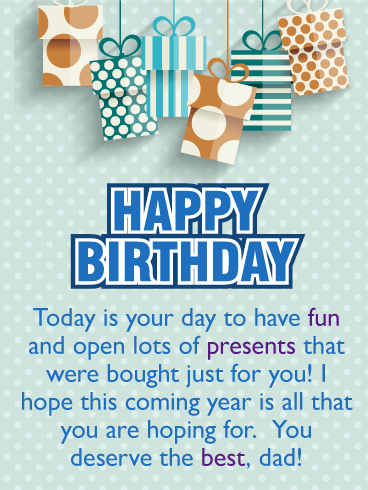 So let your dad know you are thinking of him and wishing him the best birthday ever! 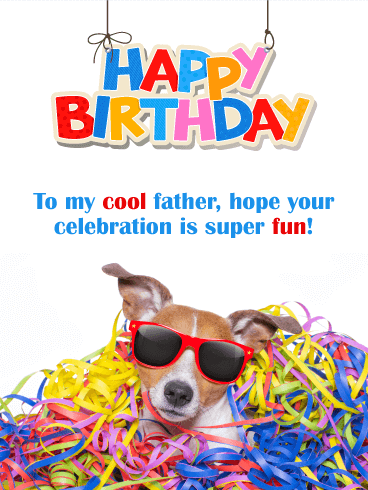 Send your father a happy birthday card that's bursting with excitement! 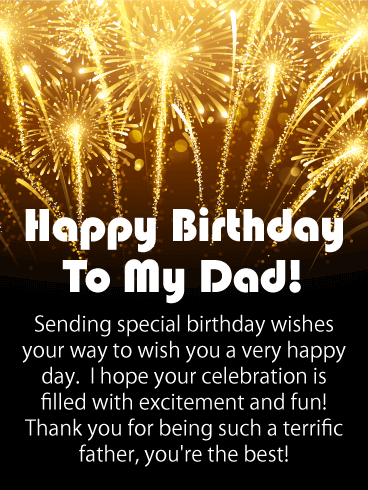 This golden fireworks greeting card will get your father's birthday off to an awesome start, especially since it is from his child. 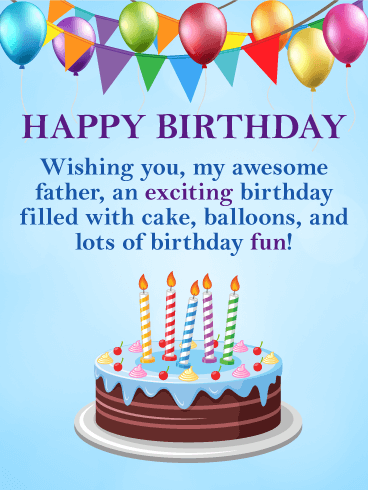 It not only wishes him a happy day, it also tells him that he's a terrific father, and that he’s the best! What more could a father ask for on his birthday! Send these celebration fireworks his way to wish him the birthday he deserves!